LAST Tuesday the Star entertained Bryansburn Rangers at Solitude in a 1B league encounter. The home side dictated most of the early play and deservedly took the lead in the 10th minute when Paul Berne’s fine header was saved by the Rangers keeper but PJ O’Neill was in the right place at the right time for an easy tap in from one yard out. Minutes later Berne caused havoc in the Rangers penalty area again but this time found the back of the net with a bullet of a header to double the Stars advantage. It was all one-way traffic as Bryansburn couldn’t handle the Star’s pace and power with McLarnon, Murphy and Stephen Brown all having fine games in the middle of the park. Just before the break Stephen Brown broke down the right flank and forced the Rangers number one into a fine double save but when the ball fell to him for the third time he managed find the back of the net with a little help from a Rangers defender to leave it 3-0 at the break. There was no let up from the Ardoyne side in the second half as they bombarded the Rangers defence with one attack after another and with new captain Ciaran Burns marshalling the Stars defence with sheer quality Gibson in goal was a mere spectator for much of the game. 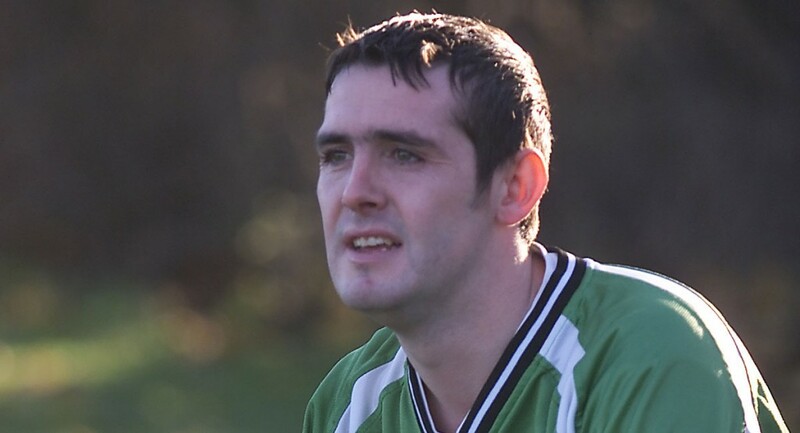 On the hour Fra Murphy made it 4-0 with a piece of brilliance when a fine through ball from Dominic Whelan found Murphy at the edge of the Rangers box and with a one flick over the defenders head he then volleyed an unstoppable shot into the bottom corner. Bryansburn got a consolation goal in the 75th minute when Cambell lost possession in the middle of the park and with a quick counter attack an angry Gibson was picking the ball out of the net when a clean sheet looked on the cards. Stephen Brown scored a fine individual goal late on when he cut in from the right and sent an unstoppable shot into the top corner to make it a convincing 5-1 win for the Star. Next week the Star are home to Newington Rangers in the Border Cup, kick-off 2pm.